Protect yourself from the dangerous particles in the air around us with the RESPILON® Protective Facemask. We have the only facemask in the world to use the latest nanofiber technology with a three-layer membrane that captures particles of all shapes and sizes from air pollution, allergens and infectious diseases. Enjoy 99.9% protection from the things that can hurt you by using our unique ReSpimask! To meet the needs of the most demanding professions, we have developed a new level of protection called the RESPILON® Protective Half Mask - RespiPro. The core of the RESPILON® Protective Half Masks consists of the latest technology by using four layers of protection including a nanofiber membrane RespiPro is resistant against liquids (blood, non corrosive chemicals and paraffin oil). 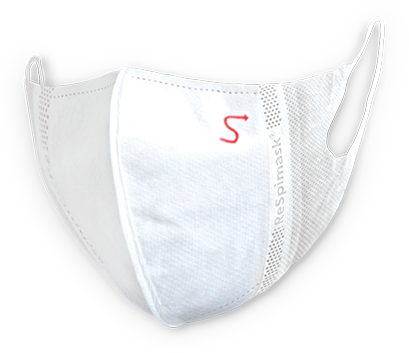 RespiPro Carbon mask is unique by an anti-odor layer. Both masks are providing great comfort and breathability. The nanofiber membrane mechanically captures 99.9% of viruses and bacteria. The RESPILON® Respiratory Shield was designed to protect people in polluted cities around the world. Our shield protects against 99.9% of smog, emissions, viruses, bacteria, molds, pollen, dust and other dangerous particles. This is made possible by using the latest generation in nanofiber with cutting-edge technology in filtration and breathability. The RESPILON® Adjustable Screen utilizes the latest technology with its unique nanofiber membrane that protects homes, offices, businesses, hotels and hospitals. It is not only about the protection, but also about comfort. As an example: When you use the RESPILON® Adjustable Screen, you won't need to close the window when it rains. It protects against rain, ash, dust, smog, allergens and ultraviolet radiation (UV) from the outside environment and keeps the cold out and the heat in during the winter season.